After signing the Communications Compatibility and Security Agreement (COMCASA), India is also in the process of acquiring dedicated strike drones from the US. After India signed a deal with Russia to acquire the formidable S-400 Triumf surface to air missile system, reports have emerged that China has agreed to sell, and at a later stage jointly build, its latest Wing Loong-II drones or unmanned aerial vehicles (UAV) to Pakistan. 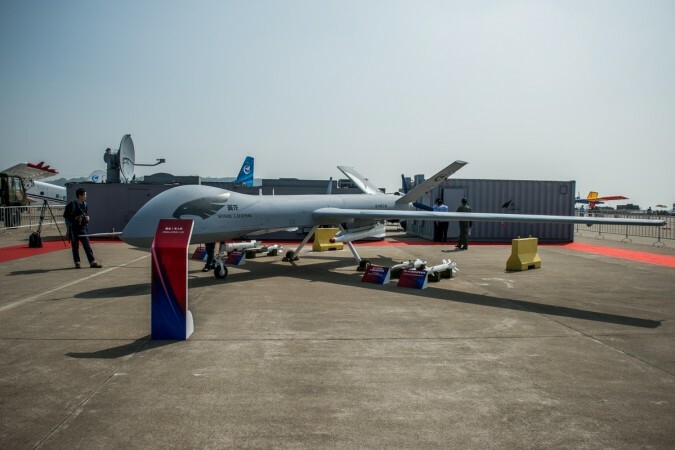 Pakistan plans to acquire 48 Wing Loong-II drones. It is a medium-altitude long endurance (MALE) drone with strike and reconnaissance capability with a payload of 1000kg made up of air to surface missiles and laser-guided bombs. A perturbed Pakistan is looking at ways to negate the capabilities of the S-400 system, whose radars can pick up targets up to 600km away and engage 36 targets simultaneously with missiles which have a range from 40km to 400km. A single S-400 battery placed near the border in Punjab can track every plane taking off from all the main airbases of Pakistan Air Force. Instead of risking their pilots trying to penetrate the shield put up by the S-400, Pakistan is likely to use armed drones like the Wing Loong-II. After signing the Communications Compatibility and Security Agreement (COMCASA), India is also in the process of acquiring dedicated strike drones from the US. The Sea Guardian is a navalised version of the dreaded Reaper drone which wreaked havoc on terrorists in places like Afghanistan, Pakistan, Iraq, Syria and Libya. India has armed drones in its UAV fleet. Some of the Heron and Searcher-II surveillance drones acquired from Israel have been made capable of carrying missiles and bombs to allow them to carry out offensive missions.